Out of her studio and into the kitchen, Ivy Costa knows what’s trending. 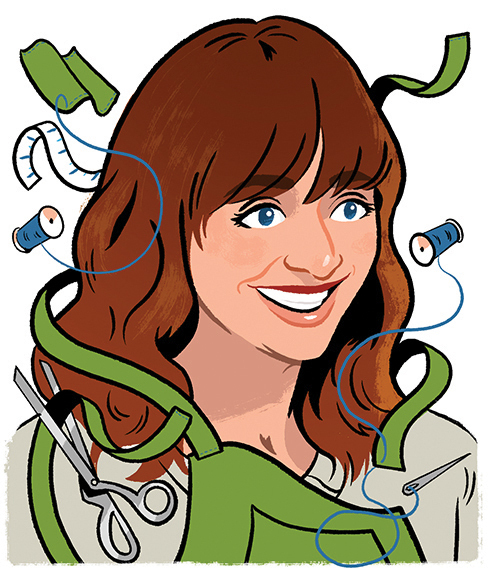 As a wardrobe consultant and stylist, she cooks up suave uniforms for local restaurants. Who have you designed for? Boca, Nada, Sotto, Sartre, Tokyo Kitty. I do aprons for Sundry and Vice, Tablespoon Cooking Company, and some smaller businesses. What do you have to keep in mind when designing for restaurants? I have to marry together designs and comfort. I think it’s important—[whether] you’re a hostess, bartender, or manager—[that] what you’re wearing is a little bit of your style but still fits into the limitations of the company’s brand. Any favorites? Sartre has been really fun just because the servers’ [uniforms]; they’re more of a French vibe with a white button down and a sage green apron, which definitely pushes the limits for Cincinnati, I think. But if you travel to other cities, you’re seeing that, so it’s fun to bring a little bit of that here. How do you add your own touch? I think by using color or a texture that most restaurants won’t use. Sundry and Vice has dark olive aprons with contrasting fabric of a little bit of a lighter tone, so that’s my stamp on it. What do you look for? I work really hard to source fabric that you can’t find at normal fabric stores, so my clients have a unique feeling to their aprons.